Today Warner Bros and DC Entertainment released new details and images for this Autumn’s hotly-anticipated Batman: Arkham City Collector’s Edition. 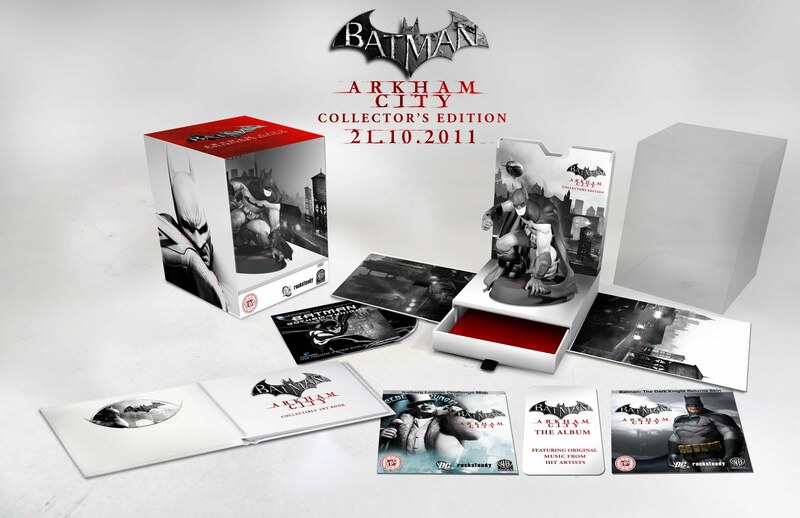 The package will be available in limited quantities beginning 21st October 2011 in the UK for Xbox 360, PS3, PC. Bonus DC Universe animated original movie, Batman: Gotham Knight!